BUFFET BREAKFAST AT THE WESTIN RESORT NUSA DUA BALI - Buffet breakfast is always a very exciting part when you stay at 5 Stars Hotel or Resort, not because you can eat everything (well, of course, it's all you can eat breakfast), it's real life hunger games. At The Westin Resort Nusa Dua Bali, you can have it at Seasonal Tastes, although I always take the same menu such as eggs (whether it cooked white only, scrambled or omelet), salad, fruit platter, assorted bread etc. I just love the ambiance to sit an join the buffet breakfast squad and take what I want like if I chill, for more than 2 hours, because why not? Seasonal Tastes is semi-outdoor breakfast restaurant, and since it serves for breakfast, there will be staff that help you with seating, if you want to seat close to the open air, I suggest you wake up early because early birds get the worms, I am talking about nice place to seat because I want to enjoy my breakfast with natural light and fresh air :), it just me. The food is 5 stars standard, excellent staff that so welcoming and very friendly, most of them are senior and feel free to ask them a favor if you need something, and fresh food as you can see their display is so calling my appetite; clean, fresh and vibrant, excellent quality and cleanliness. 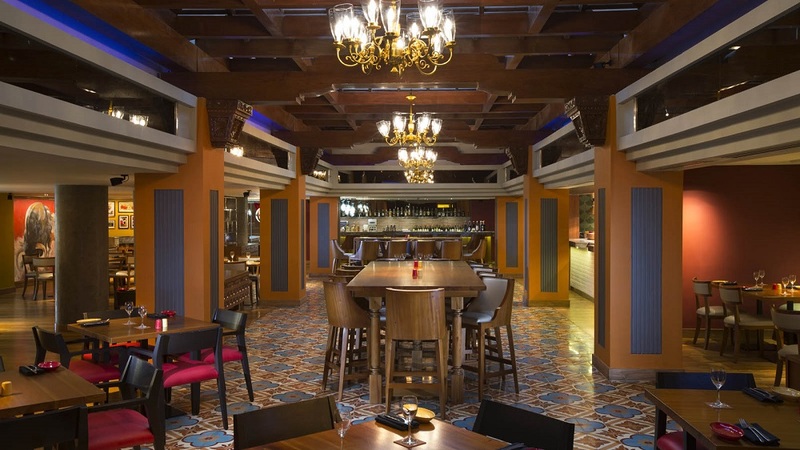 Talking about the general restaurant, The Westin Resort Nusa Dua Bali has total 6 restaurants. Seasonal Tastes that dedicated for breakfast, Velada Tapas Bar & Kitchen if you need a Spanish bite and refreshing drinks, Hamabe that serves you with Japanese delicacies, Ikan Restaurant & Bar an open-air beachfront spot that will satisfy your belly with fresh seafood, local Balinese cuisine and also western dishes, The Bar & Lounge that located near the lobby if you just want quite chill and relax moment, and Prego the lively eatery that suitable for the entire family with an authentic Italian cuisine, it also open for fun day Family Brunch.